Political turmoil in Sudan has not affected oil flow from neighboring South Sudan, the latter's oil minister said on Saturday. JUBA, South Sudan (AP) — The military overthrow of Sudan's longtime president quickly has raised concerns about whether the upheaval will destabilize neighboring South Sudan's fragile efforts at peace after five years of civil war. - "Se con le nostre fragilità ritorniamo al Signore, se prendiamo la via dell’amore, abbracceremo la vita che non tramonta. E saremo nella gioia. #Quaresima"
- José Ignacio Calleja: "En mi opinión, el texto no es de Benedicto XVI"
Tanzania has announced that it will ban single-use plastic bags by July 1. Rwanda, Kenya, South Sudan and Burundi have already banned them. FILE PHOTO | NMG In Summary. Prime Minister Kassim Majaliwa told parliament this past week that polythene bags will no longer be used for commercial purposes or household packaging. 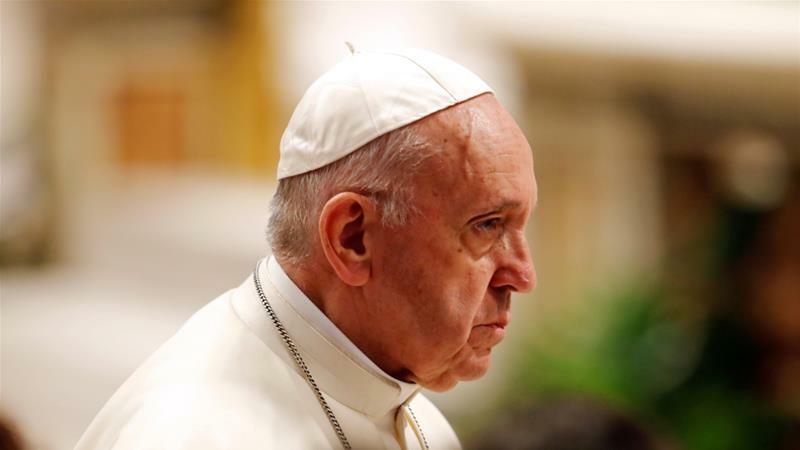 The post Pope Kisses Feet Of South Sudan Leaders appeared first on St. Lucia Times News. Omar al-Bashir has been removed from the position he made for himself as the head of an apparatus that "ruled the North African nation with an iron fist for 30 years" (Sudan's military has ousted President Omar al-Bashir. How did it come to this? And what's next?). Most of the stories coming out of the international press have taken the usual approach--noting the length of Mr. al-Bashir's leadership, his behavior respecting the peoples of what is now South Sudan, his leadership playing footsie with organizations sometimes or eventually labelled terrorist, the indictment by the International Criminal Court, the way in which many states that so piously utter blatherings about law and justice flouted both in ignoring ICC obligations to which they were committed, and the inevitable process of decay that age and the belief in one's own propaganda produces. But something far more interesting may be at play, beneath the revolving door of like minded individuals who form part of the interlocking ruling groups that continue to dominate the state apparatus. Tens of thousands of protesters have been rallying across the country of 43 million for weeks calling for democracy, jobs and an end to corruption. Thursday's televised address from the defence minister announcing two years of military rule, ostensibly followed by free elections, is unlikely to satisfy their demands. They want a civilian-led technocratic government put in place for four years to try and bring the country together and organize new elections. (Sudan's military)). This "something" may suggest some interesting movement in the sort of constitutional theory that may become more influential among developing states. What follows are brief reflections on the implications of this subsurface movement. 1. One sees a remarkably similar pattern across a number of jurisdictions separated by level of development, culture, politics, religion, and social organization, a similar set of motivations. Popular agitation, indifferent to the fundamental structures of social and cultural organization (for the most part), is not sparked by the sort of abstract angst on which elites center their own internal conflicts. For populations who are ruled rather than ruling, abstract principles applied in a predictable and fair way (understood in culturally contextual terms) tens to be matters of indifference. Instead, agitation does not tend to start with respect to principles but (recall the earliest moments of the Arab Spring, the Ukrainian Orange Revolution and the like) with economic grievances. There are exceptions (where for example for reforming elite seeks to strip a population of long held and otherwise acceptable cultural and social structures with no appearance of corresponding gains). In either case, what starts as agitation to relieve grievances for and then push for political change in an effort to install a government more amenable to changing the economic challenges that caused the agitation in the first place. There is little difference here in the case of Sudan. 2. Economic grievance tend to be grounded not in quibbles about the way in which a society has organized its economic, political or other activities, but in its implementation. People throughout history have had a high tolerance for substantial variation in the concoction of abstract principles in ways that produce orthodoxies of the most variegated sort when it comes to the organizations of their societies, cultures, religions, economies and the like (e.g., here). The government (or its leader) must be replaced not because there is any great grievance with the way things are ordered--but wit respect to the way things are operated.That appears to apply in the Sudan as well. The classical markers--jobs and corruption--are here in full view. And this is not surprising for a regime in power and substantially undisturbed in its current form since the 1980s. But what does the call for "democracy" mean. It is at this point that people (especially in the West) will tend to read into statements exactly what they want. This is an important point--especially where agitation is leveraged through inward projections of foreign power, and that attention is paid only when those powers hear their "trigger words." For the West it is democracy. The leaders of organized mass agitation are not ignorant, and they understand that it is necessary to perform for those who they may need or against whom they may need protection. So do their leaders. As a consequence, the statements are full of expressions of the organization of elections (in a few years) rather than of anything having to do with the origins of the agitation. 3. 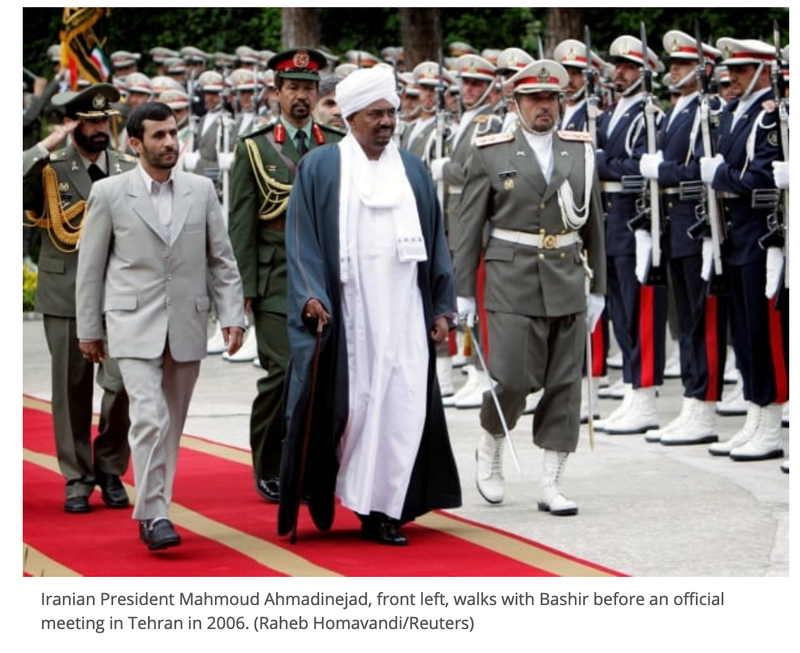 What does democratic change mean in the context of Sudan? That is a question that can neither be asked in a vacuum, nor inspired by the sort of theoretical models that get sun out of academic conferences and the resulting thick web of words that are meant to serve as some sort of Jungian normative kollektives Unbewusstes (collective unconscious). But perhaps some meaning may be visible among the interventions of those who seek to assert some sort of influence. What pops out are not notions of elections and vigorous upper middle class schoolroom debates over the wonky intimacies of policy, but rather about a "civilian-led technocratic government" (notice the notion is on civilian led rather than controlled arrangement). And as well the talk centers on a "patriotic group of experts" that would solve problems. The problems then are not about normative democracy but of the construction of an administrative apparatus that is responsive to popular needs popularly determined. 4. But if that is where this is going, then it also suggests something that has been floating just below the surface of many discussions of popular agitation in states that are not rich and developed enough to indulge their normative reflexivity like the bored children of the economically independent. It suggests a view of the role of government as essentially administrative, and also as a reliable site for the fair (understood in traditional and customary ways) of private disputes. The application of these ideas of course varies with context. But the fundamental understanding of its application does not. That understanding--that politics is deeply embedded in (usually traditional, however dressed up to meet the needs of modernity) social, cultural and religious norms, but not in government--suggests, in turn, a different model of the way that power may be separated. That model is organized around a premise that all political authority is vested in a leadership group (religious (Iran), vanguard party (China), or traditional group (elsewhere)) who are charged with the development and deployment of political authority through choices, while the government is understood as a site for the implementation of political choices. 5. What this may suggest is that another conception of separation of powers appears to be developing in states that have never fit comfortably within the socio-cultural complex on which the structures of orthodox liberal democracy are dependent. But these changes are occurring beneath the surface, at a level of unconscious self reflexivity. It is occurring behind the reactions of a global community that expects only the appearance of change but which has also discounted change in Sudan ("'Military takeover is not the appropriate response to the challenges facing Sudan and the aspirations of its people,' Moussa Faki Mahamat, the chairperson of the African Union, said Thursday" (Sudan's military)). It is occurring behind the spectacle of revolving door leaders that serve as the face of the leadership collective that has dominated Sudan since its independence ("Gen. Awad Mohammed Ibn Auf, the vice-president and defence minister who was appointed by Bashir before announcing the president's removal on state TV, is "very much a symbol of the regime," said Ahmed Soliman, a research fellow at the U.K.-based think-tank Chatham House." (Sudan's military)). It is occurring behind the appearance of alignment to principles of separation of powers long deemed an essential feature of modern normative constitutionalism ("Tens of thousands of protesters have been rallying across the country of 43 million for weeks calling for democracy, jobs and an end to corruption. . . . "These aren't just issues of economic hardship; it's the culmination of anger at the regime," Soliman said. "It's rooted in institutional corruption ... [and] huge spending on the security services at the expense of basic services"(Sudan's military)). What the protestors are looking for, and what they are eventually unlikely to get in a way that satisfies, is a technical reconstriction of the state apparatus. "We assert that the people of Sudan will not accept anything less than a civil transitional authority composed of a patriotic group of experts who were not involved with the tyrannical regime," the Sudanese Professional Association, an umbrella group of unions behind recent protests, said in a statement after the military's announcement. (Sudan's military)). It is easy enough to suggest that this shift in core conceptions of separation of powers is as illegitimate as the group of people that tend to control the politics, economics, society and culture of developing states. It is as easy to suggest that these shifts might be ascribed to a strained of theocratic constitutionalism that is also among liberal democracies but that represents another potential variation in the expression of democratic theory (Theocratic Constitutionalism: An Introduction to a New Global Legal Ordering). 6. And there is a certain power to those arguments. Their power, however, may be grounded in at least two quite distinct claims. The first is to the illegitimacy of the ruling group that adopts organizing principles of governance. 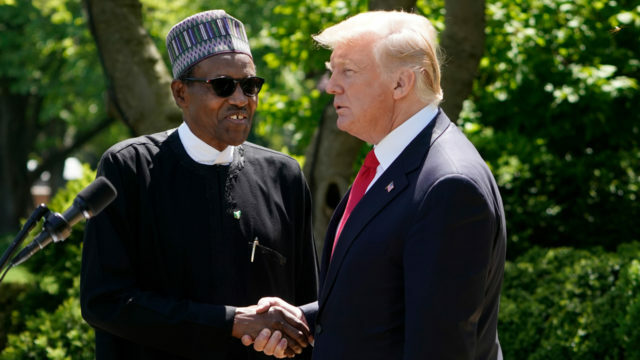 The second is to the illegitimacy of a principle of separation of powers that deviates from the orthodox conception of the insertion of all political power within the state and its division along functional lines among state stakeholders. With respect to the first, it is tempting to conflate the choice of foundational organizational principles and the character of the governing group to embrace the view that the legitimacy of one depends on the character or legitimacy of the other. This is the same sort of argument that suggests that Thomas Jefferson's ideals could only be as legitimate as Mr. Jefferson's character (slave holder, the keeper of slave-concubines, etc.). This personification of ideas mixes notions drawn from a bizarre application of principles of intellectual property law (an abstract ownership of ideas) with a pseudo-originalist hermeneutics that ideas are inevitably impregnated forever with the sensibilities, not of the the times and cultures that produce them, but of the people specifically connected with their first articulation. It may not be possible to detach entirely a set of cultural or political practices from the normative principles through which they are constructed and in the service of which they operate. I have made that argument myself with reference to the institution of the judiciary (Between the Judge and the Law — Judicial Independence and Authority with Chinese Characteristics). But there is a fundamental difference between the cultural barnacles attached to institutions and institutional practices, on the one hand, and the origin or use baggage that people insist on reading into the connection between an idea and the individual or historically contingent social and cultural space within it was first produced or thereafter embraced by some "leading group" or other. With respect to the second, I have already suggested the possibility that democratic orthodoxy, including its premises respecting the allocation of political powers (all within the state apparatus) and its separation (with the state apparatus along functional lines) does not describe the entire universe of possible legitimate ordering structures for democratic societies (From Constitution to Constitutionalism). More specifically I have considered the way that Chinese political theory has begun to elaborate theories of separation of powers within constitutionally legitimate structures (Party, People, Government, State). While the arguments from normative orthodoxy play well in many venues, what Sudan (like China) suggests, is that the power of orthodoxy is a political choice rather than the inevitable working out of a progress from barbarity to civilization. 7. And that raises the final question, one of the growing importance of China as a new center of constitutional and democratic theory for states that do not align culturally with those of the traditional (at least for the last century or so) thought leaders of political theory. The operative element of the question is grounded in the character of China's Belt and Road Initiative as a political and cultural, as well as an economic project. The object are developing states that are seeking stability and legitimacy by navigating through or around the normative structures of law, politics, and economics, that for the most part appear to be inserted from beyond, and that may be successfully embedded through global structures of education. If it is possible to theorize a legitimizing separation of powers structure grounded in the separation of politics from administration, one in which the government is not the place where political authority is located, and if the Chinese model can be transposed beyond its Marxist Leninist framework, and if that process of universalizing a distinct approach to separation of powers may be accelerated through programs of education-socializaiton through the mechanisms of the Belt and Road Initiative, then might it be possible to see in the Sudan the glimmerings of the possibilities of an alternative constitutional orthodoxy emerging for developing states outside the West? The post South Sudan: A Country in Perpetual Turmoil appeared first on Different Truths. Kathleen, I did think of Lk.7:38 about the weeping woman before asserting there's no <i>mention in the Bible about kissing human feet, let alone dirty, filthy shoes;</i> but remembering that Jesus is fully divine as well as fully human, I think He is <i>sui generis</i> when it comes to kissing feet. @ JH <I>No mention in the Bible of kissing human feet, let alone dirty, filthy shoes. Am I right?</I> Yes, I think you are right, JH, although I don’t think shoes were worn in biblical times, were they? Only sandals. There are of course social customs which are recognised and commanded in the Bible, like the <i>kiss</I> of greeting and <I>washing the feet</I> of guests. But no mention (AFAICS) of “kissing human feet”! The sole exception is the beautiful story of the penitent woman in Luke 7:38, who washed Our Lord’s feet with her tears, dried them with her hair, and kissed them over and again. Pope Francis has messed up once more here. How very different the significance behind this woman’s actions and those of the pope! She was demonstrating her deep sorrow and repentance for having offended God... and humility and gratitude, knowing Our Lord had forgiven her her many sins. 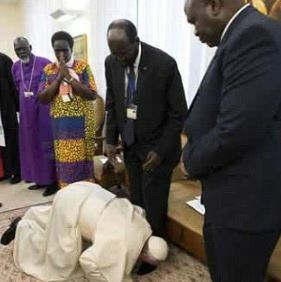 OTOH, Francis was kissing the feet of some Sudanese politicians* who might have ordered (or at least had condoned) the genocide, torture and forcing into slavery of countless thousands of South Sudan’s Christians. Does Francis think that’s okay? It is Sudan’s Muslim leaders who should be the ones kissing the feet of their Christian compatriots, begging forgiveness for their terrible crimes. * The new Catholic President of South Sudan is presumably innocent of any such crimes. Johann du Toit says (correctly I must assume, because I've not looked into it) that <i>"President Salva Kiir is a Catholic, if that is any consolation"</i>. No, it's not a consolation because, as I say above, the possible <b>Nope!</b> is kissing <b>shoes</b>, not feet. There is no theologically acknowledged symbolism in such a disgusting display. Even Mussulmen regard shoes as filthy things. They consider pressing their lips against shoes, sandals and slippers as something dogs do; and as we know, Mussulmen are revolted by dogs. Abraham and Our Lord washed feet, but did not kiss them. No mention in the Bible of kissing human feet, let alone dirty, filthy shoes. Am I right? My goodness, falling to his knees to kiss the stinking dirty shoes (not the feet) of Mussulmen. I’m coming close to Ann Barnhardt’s belief that he may be an imposter. Not there yet, but won’t be shocked if he’s later remembered as Pope?Nope!. To be fair to said possible “Nope!” who is said to be <em>“…notorious for never genuflecting or kneeling…”</em> I can no longer genuflect either, and will be a bit sheepish during the Passion Narrative at tomorrow’s Mass, just after Lk. 23:46, as I will be in the sanctuary reading the words of Simon Peter without the assist of the pew in front of me for support. I think the best alternative in such circumstances is a deep bow towards the tabernacle with hands clasped in prayer, but welcome other suggestions if there are any.